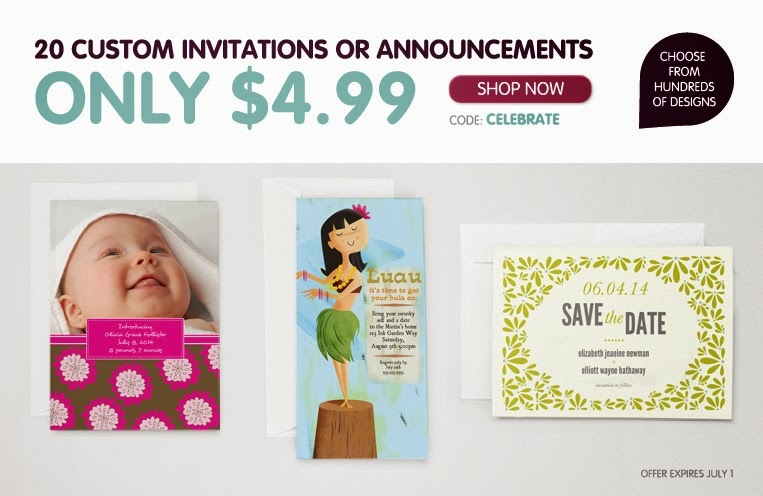 Cheap Mama Chick: 20 Custom Invitations Or Announcements – Just $4.99 – Save 16.99! 20 Custom Invitations Or Announcements – Just $4.99 – Save 16.99! Choose from 100's of designs for graduation, baby showers, birthdays, etc.! Offer Applies To 4X8 & 5X8 Flat Stationary Cards. Cannot Be Used In Conjunction With Any Other Offer. Exp. 07-01-2014. New customers only. 20 Custom Invitations Or Announcements – Just $4.99 – Save 16.99 from InkGarden here!